The nationally recognized Ann B Barshinger Cancer Institute at Lancaster General Health is a comprehensive cancer care facility in Lancaster County, Pennsylvania. 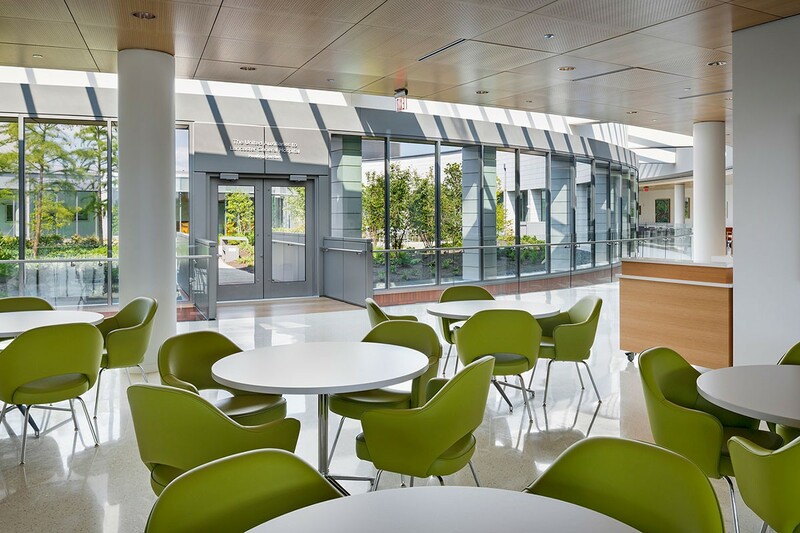 Philadelphia-based design firm, Ballinger, worked with the institute to create a state-of-the-art facility which supports patients, families and caregivers. At the Fresh View Cafe, Knoll Saarinen Executive Arm Chairs are upholstered in AU 0658 Congo. This durable leather goes through a special retannage and finishing process that results in leather that is not only water resistant, but also practical for a café setting. Overlooking the Healing Garden, the soothing green tone helps to enhance the physical, emotional and spiritual well being of the institute’s patients. For more information, please visit the Acqua (AU) product page.